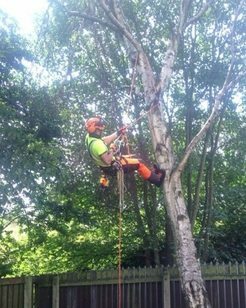 With many years of experience, LTC Tree Surgery are experts in tree felling in Wigan. We also cover the surrounding locations such as Warrington, Manchester & Bolton. 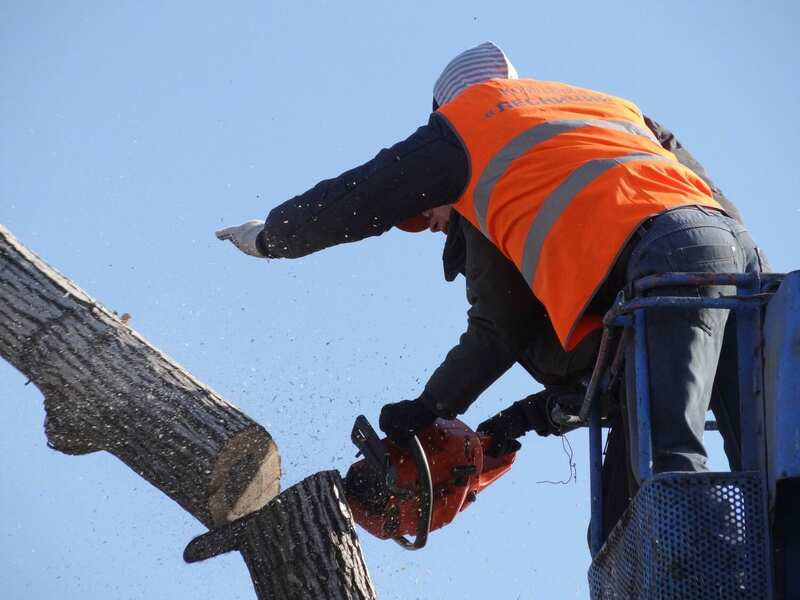 LTC Tree Surgeons exceed the health and safety measures, making sure that all trees that are cut down are done so properly ensuring no damage to your lawn or garden where possible. The size of the tree will give us an idea of the time needed and the machinery required to complete the job. Preparation is key to a successful tree felling so we always take the time to plan ahead to decide which forestry equipment is required to complete the job. 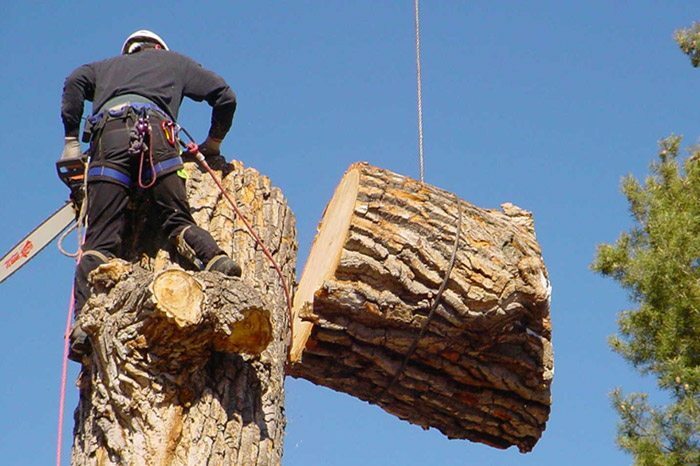 By creating a post felling job list, it makes a safer environment for us to undertake the work needed, making the job easier and less time consuming. Checking the area for obstructions is the first thing to consider such as roads, fences and roads or buildings in close proximity. Deploy warning signs if you know that a road crosses the forestry area or that a lot of people pass by on a daily basis. Checking the tree for any diseases which may cause the tree to fall unexpectedly. LTC will check to see if the trunk looks swollen. Usually this is an indication that the tree could be rotten inside and may cause complications. LTC will need to determine the direction in which the tree can fall without causing damage to the surrounding objects such as buildings, pathways and roads. Before felling, we also need to take into consideration the condition of the tree and the way the tree branches have grown, whilst noting the wind direction. Every tree has a natural direction in which way they would fall. Clear 45 Degrees behind the tree in both directions, creating a path for retreat. Once the area has been cleared and warning signs have been placed in the correct places LTC will need to decide the direction of fall and create a path way of retreat. When the trunk has been fully pruned of all its branches, LTC tree surgeons can start to make a felling cut. 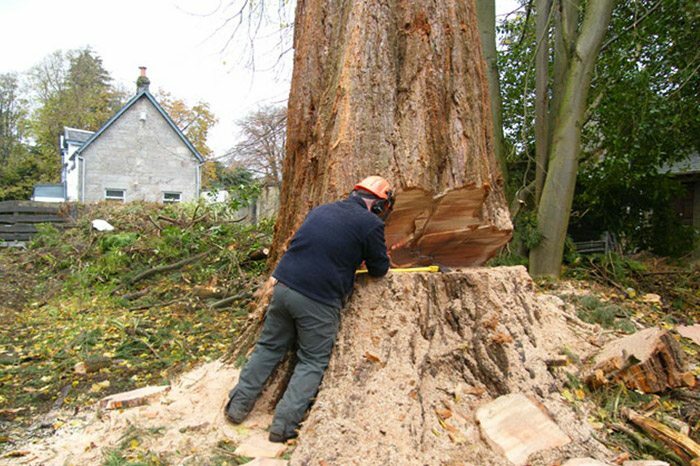 The cut required depends on the size of the tree and a felling wedge should be put in place to help the tree fall in the right direction. Once the cut has been made, it’s time to start taking the tree down in parts. This is to ensure no one is hurt during the process with all health and safety measures taken. Contact LTC Tree Surgery today for a no-obligation free quote on our tree felling services in Wigan, Manchester, Warrington & Bolton.